Are You Ready For Summer!? This month has just flown by and it feels like we just had Memorial Day. Although that’s the official kickoff to summer, it never really feels like the season of sun until all the kids are out of school and we have our first sweltering day. Now that school’s out, and summer Fridays have begun, it’s time to step out of the office and enjoy the outdoors. So we’ve put together a short list of activities that will keep the kids busy, give you something to do with your summer Fridays and make you wonder why you never thought of this! Visit your favorite picnic spot in the city and have a picnic! Central Park has a number of great locations including Sheep Meadow to soak up that summer sunshine. Or lay out your blanket just off the lake under the shade of a tree with a pretty view of the rowboats. Our Central Park Picnic made by our farm-to-table partner, Mangia, is a delicious time saver that kids and adults alike will love. The spread comes with a picnic blanket, and three different meal options. Do the kids love biking? 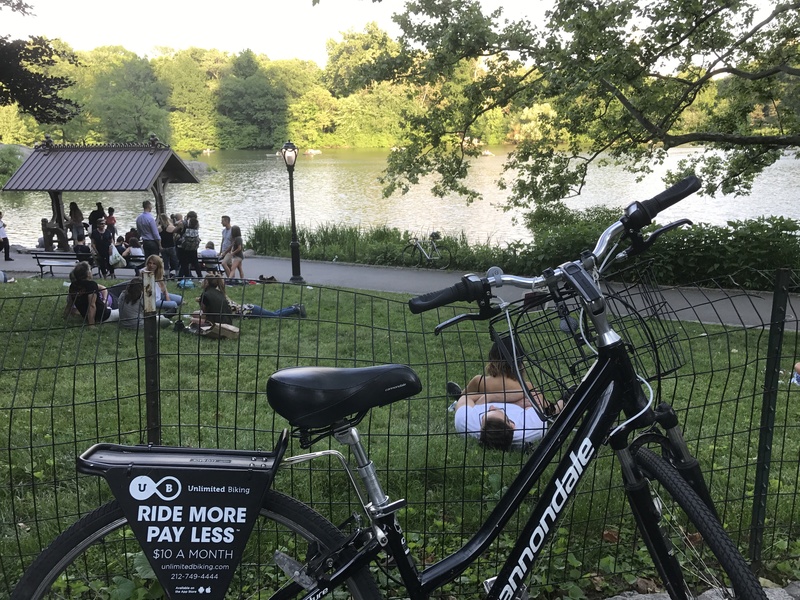 Join us for a ride through Central Park and stop to participate in all of the activities planned for this summer. We have a range of bikes available depending on the size and riding ability of each individual. We can seat younger ones in baby seats or toddlers in double kid’s bike trailers that protect them from the sunshine. We have helmets to protect everyone’s noggin as well. Or, if you’re an adult and don’t have a bike, we have options to best accommodate you as well. We offer high-quality Cannondale bikes in a range of sizes for the petite to the jumbo rider. It may not seem like a big deal, but once you’re riding you want to be comfortable and feel safe. We even have Road bikes for the experienced bikers that feel much more streamlined! Take a bike to Summerstage! This is a summer concert series that takes place every Friday in Central Park. This year’s artists include Laura Mvula, Fete de la Musique, Digable Planets & Natasha Diggs, Margaret Glaspy & Alexander F, Robert Glasper Experiment, Rare Essence with Special Guest DJ Kool, Vivian Green, Music with a Message, Ginuwine, Boogie Blind, Aqueous and many more! Biking there and then stopping to take in some live music while you grab a bite to eat would make the perfect date night for any couple! Check out all the artists here: www.cityparksfoundation.org/events/category/summerstage/. Feeling sluggish after the heat wave we’ve been having? Grab a bike and take your workout outdoors! 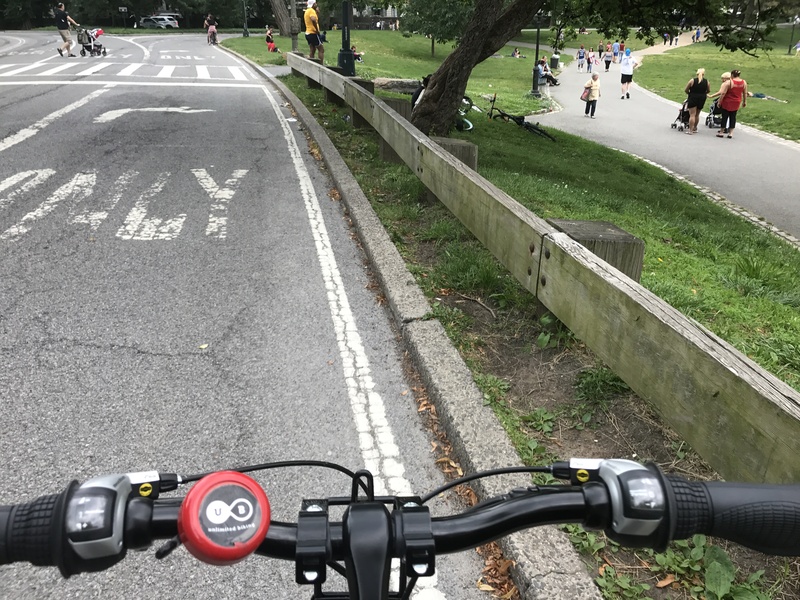 It’s a great way to soak up the sunshine (or the shade of the Central Park trees) while staying active and enjoying the fresh air of Central Park. Or make it a more intense session by bringing a yoga mat and stopping along the way to get in some body weight exercises every mile as you work your way around the park. The cardio combined with resistance training will keep you feeling fabulous! One of our favorite things to do in the park is enjoy the our weekends on the Great Lawn or in Sheep Meadow with our closest and newest friends! It’s a great way to step outside and get together while enjoying your down time. There’s endless places in the park to settle in and enjoy the summer sun while spending time with your besties. Or take in the rowboats with the fountain flowing in the background at Bethesda Terrace. It all makes for a wonderful day in Central Park! If you’re new to town, or even if you’re a local but want a different experience, join one of our guided tours! It’s a great way to get in a workout while learning more about your city. And hey, you might learn something new!